“…norms of international right must either work equally for everybody, or do not exist at all,” says Hovhannisyan. 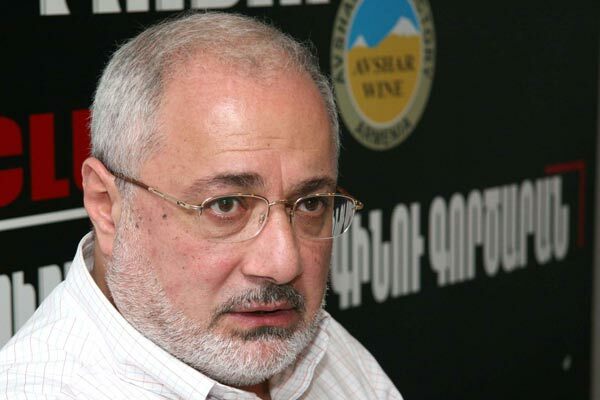 Armenian Revolutionary Federation (Dashnaktsutyun, ARF) leader Vahan Hovhannisyan, believes that the decision made by the United Nations International Court of Justice in The Hague on Kosovo is favorable both for the Nagorno-Karabakh issue and world justice in general. The Hague Court stated that one-sided declaration of independence of Kosovo from Serbia does not violate the international right. Only 69 states have recognized Kosovo’s independence as of now. Even though the decision of The Hague Court does not have a compulsory force, it has only a consultative nature; however, experts and political figures do not doubt that such a decision may have serious political consequences. Armenian experts and political figures, responding on the court’s decision, unanimously state that it gives Nagorno-Karabakh right to legally insist its right to independence in the international arena. Large-scale public rallies were expected today (July 23) in Stepanakert, capital of Nagorno-Karabakh, as well as in other regions of the self-declared republic, to welcome The Hague decision on Kosovo. During the rallies, residents of Karabakh will express their will, once again stating their refusal to be part of Azerbaijan. Hovhannisyan is concerned about the fact that the United States has welcomed Kosovo's independence, as they state, regardless of the court’s decision. “This means that the norms of international right have practically no value; these norms must either work equally for everybody, or do not exist at all,” Hovhannisyan says.